I was on my way to East Lansing, Mich., to meet an old college friend and reminisce about our years at Michigan State University, when I heard on the radio that the Insane Inflatable 5K race was coming to Lansing, the state’s capital, the following day. Sure enough, as I drove by the Hope Sports Complex, a facility for competitive soccer, lacrosse, ultimate Frisbee, softball and baseball, I saw all sorts of huge inflatables going up. Heavy traffic and roped off entryways prevented me from getting my own photos, but it appeared the crowds were already gathering. According to event organizers, these events are held all over the United States, but each course’s terrain is unique, making it a constant challenge for those who participate in multiple Insane Inflatable 5K races. 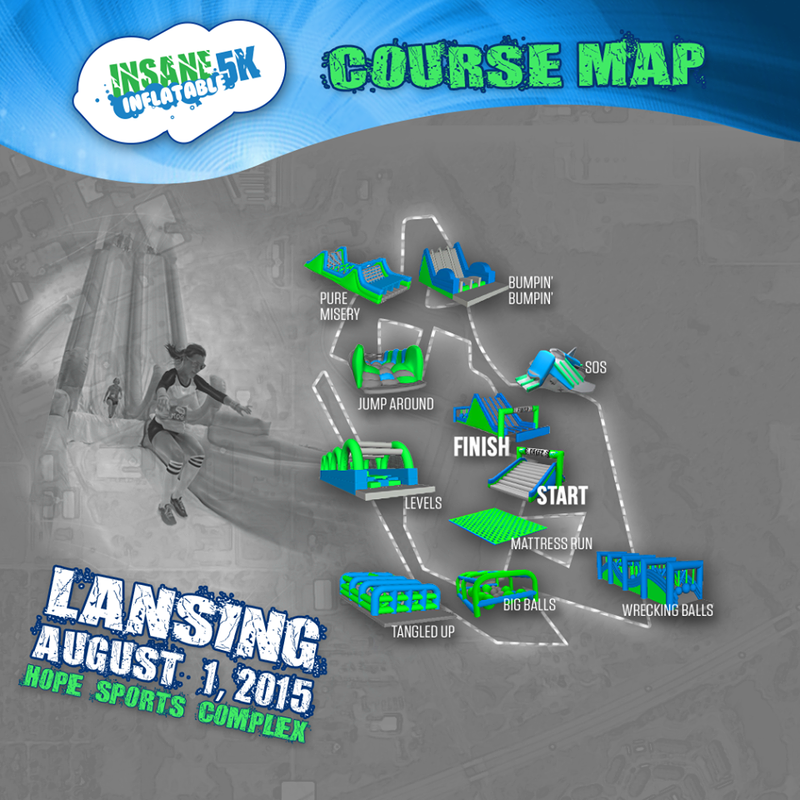 The course in Lansing included the Tangled Up maze that contestants had to navigate; Pure Misery, a 100-foot long test of endurance and agility; and S.O.S., an inflatable that is 2 ½ stories high, with three different slides, making it very easy for contestants to get lost. Designed to be as fun as possible, the event is open to all ages, but participants must be at least 42 inches tall and team captains must be at least 18 years old. Start times are staggered and participants can run or walk the course, depending on their own competitive drive. 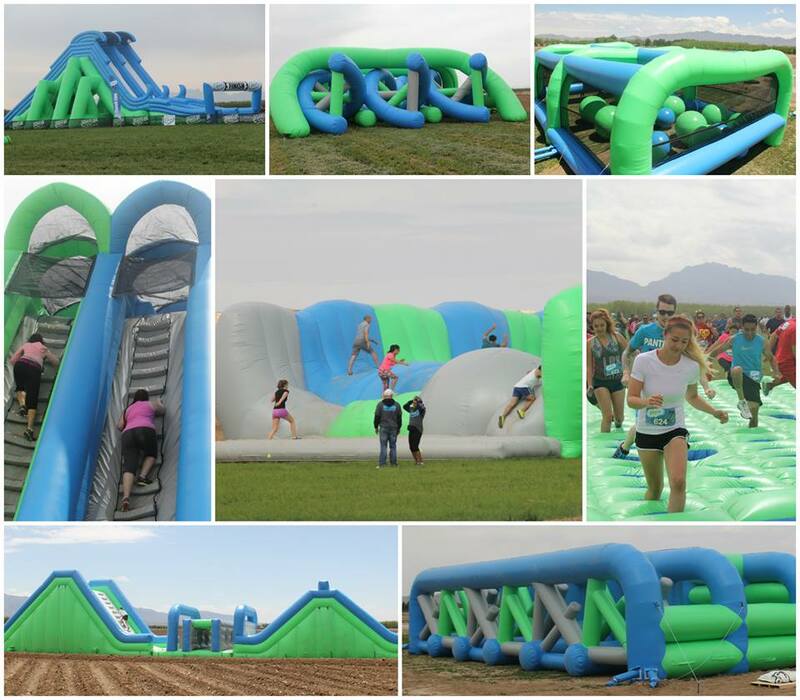 Each event also features the Insane Inflatable 5K Midway, with inflatable games and experiential activities, live music, food and beverages. For more information visit www.insaneinflatable5K.com.